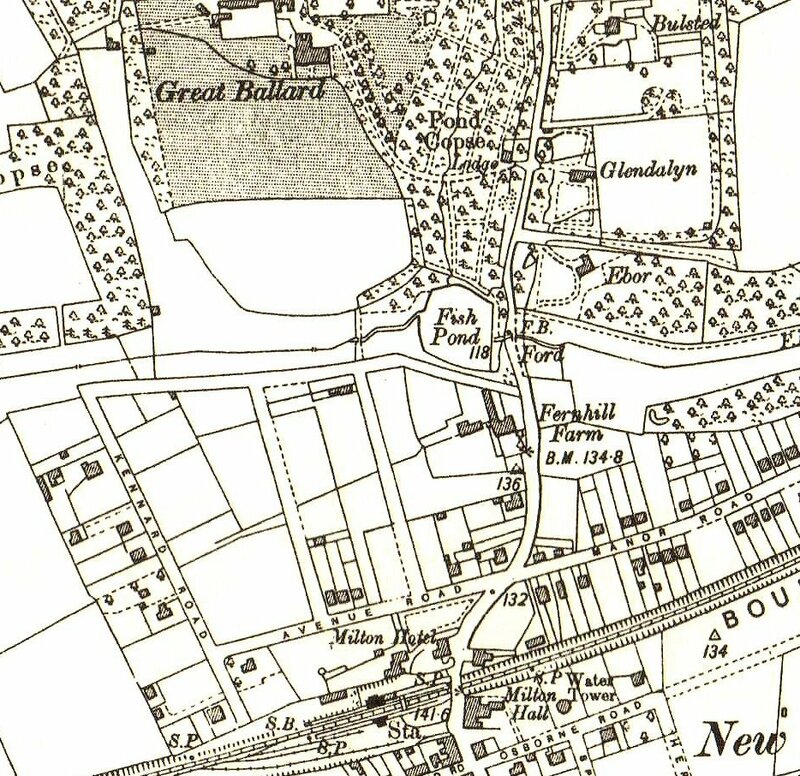 The Fernhill area of Milton Parish lies just to the north of the railway station. It is one of the oldest parts of our town. It is mentioned in the 1086 Domesday book, with the name of Fernehelle. The entry states that in 1066 the part owner of the land was a Saxon called Godric. By 1086 Fernhill was held by the Earl of Shrewsbury. A person called Nigel was farming the land on the Earls behalf with the help one villain (a peasant). Two thirds of the Fernhill estate was then brought under forest law and thus belonged to the King. It was reduced in value from 13 shillings to 10 as a result. In 1420 the land and the manor house on it were given to Winchester College by John Fromond in his will. The rent from the land was intended to pay for the clothes for 16 of the Cathedral choir boys. It is uncertain if the boys of the choir ever benefited from this gift. 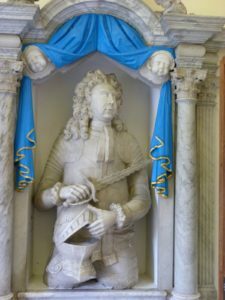 A person who is recorded as living at Fernhill Manor was Thomas White, who was commander of the body guard of Queen Anne. He originated from Dorsetshire. He rented the manor from Winchester College. He died in 1720. His effigy can be seen in the porch way entrance to St Mary Magdalene Church in Milton. 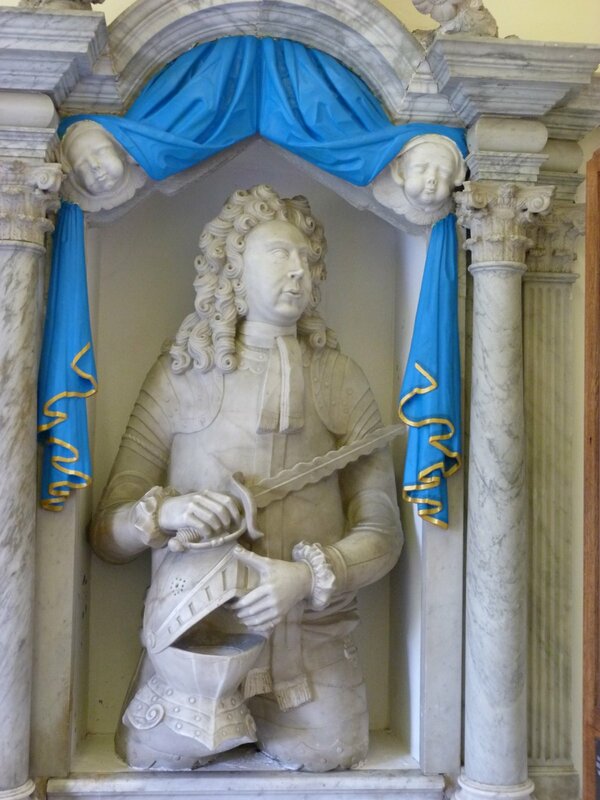 Next to his bust is his sword believed to be made by Andria Ferara, a renowned swordsmith of the age. 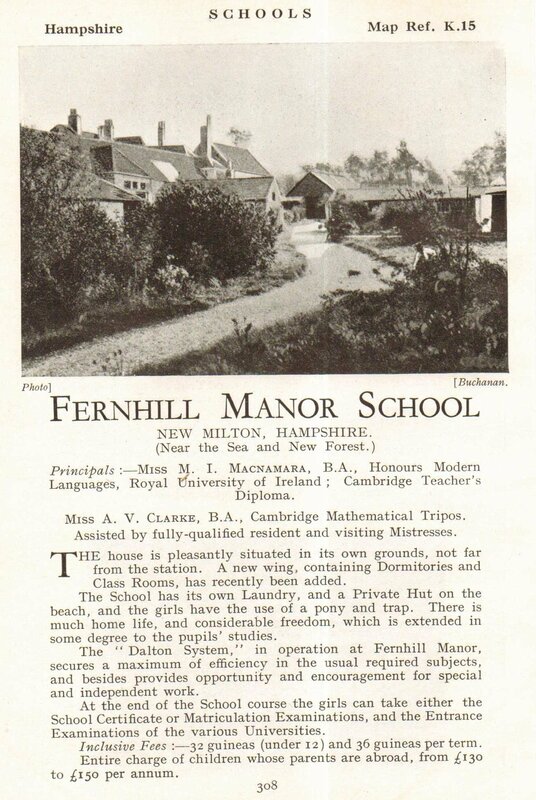 Shortly after the railway was built in 1886 Winchester College started to sell of parcels of land from the Fernhill estate. 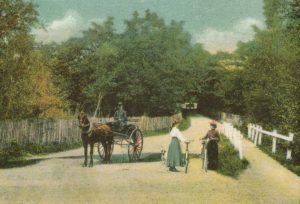 One of the first roads to be built with new houses was Manor Road, named because it was on the land that had been part of Fernhill Manor. 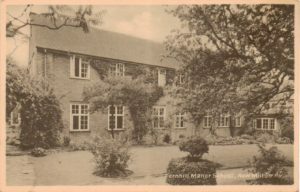 In 1919 two ladies, Miss Clarke and Miss Macnamara relocated their girls school from a house called Branksome in Ashley Road, to the Manor House. 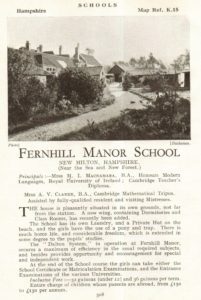 The school was renamed Fernhill Manor it later merged with the nearby Edinburgh House school and together they became the Ballard Schools in 1995. 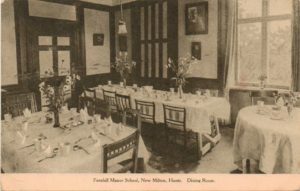 In 1904 the Ubsdell family built a large house to the north of the fish pond at Fernhill. 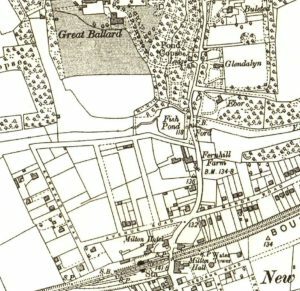 The house was named Great Ballard and can be located at the top of the 1909 map. 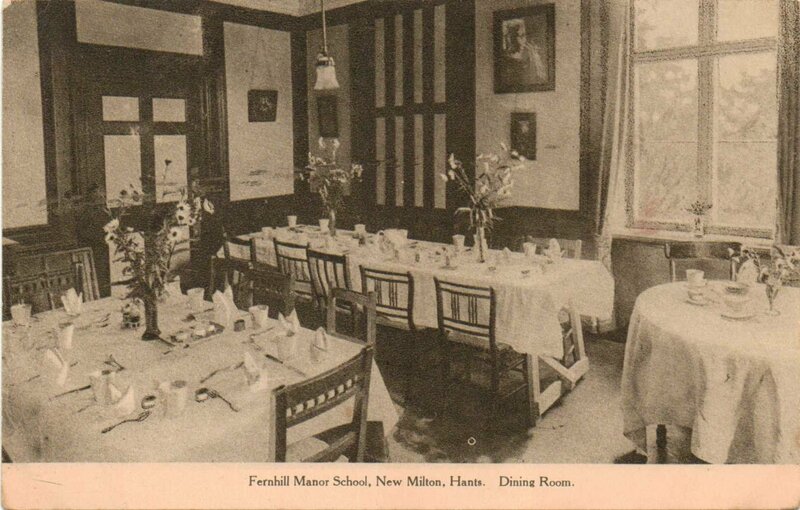 After the First World War the family moved out of the main building and it was rented by a school which took the name of Great Ballard Preparatory School. They remained in residence until 1940 when the building and grounds were commandeered by the army and used throughout the war. In 1946 Edinburgh House School for boys took over the lease. 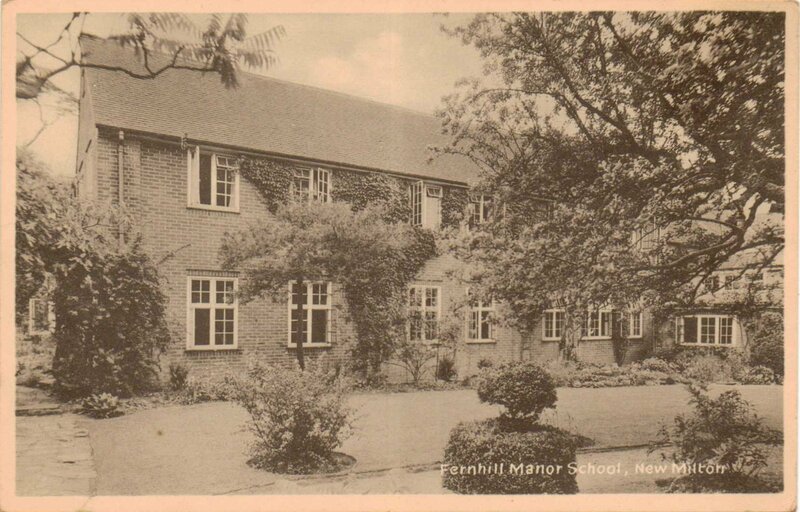 After the merger with Fernhill Manor School this building remained a school and eventually the Fernhill Manor site was sold and is now used for houses and the Manor House for flats. 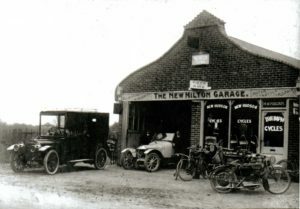 Opposite the Fernhill Manor was a commercial premises called the New Milton Garage which was in business before the First World War. The Garage was originally run by a Mr Fagan whose brother opened a Gentleman’s clothing shop in Station Road. The motor business grew and eventually became a very large building called Coopers garage. This was a main dealer for Ford cars. 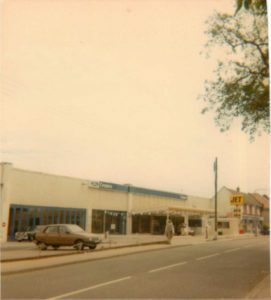 The business closed in the 1980s and the site was redeveloped and used for housing. 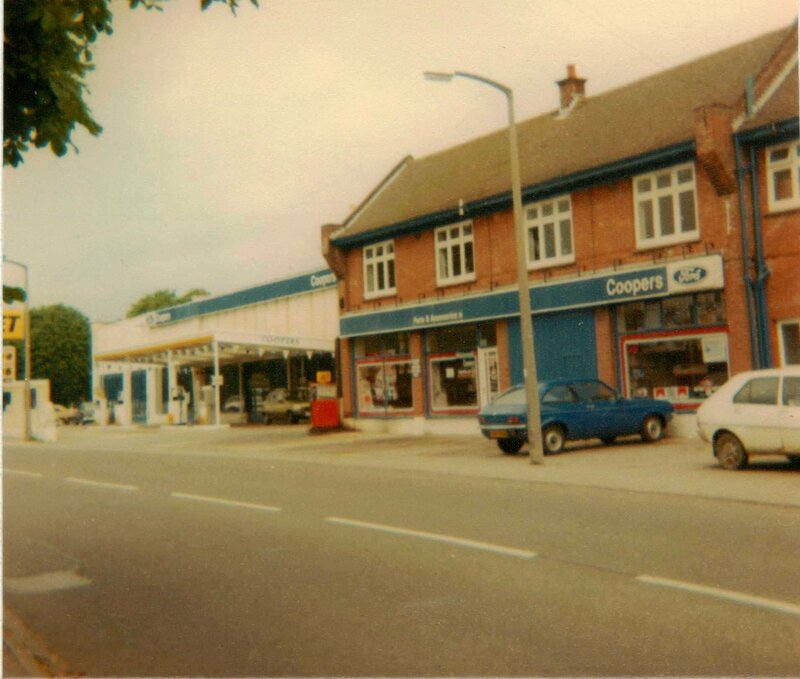 Next door to Coopers Garage was a butchers shop run by a Mr. Pickles which has only recently closed down. 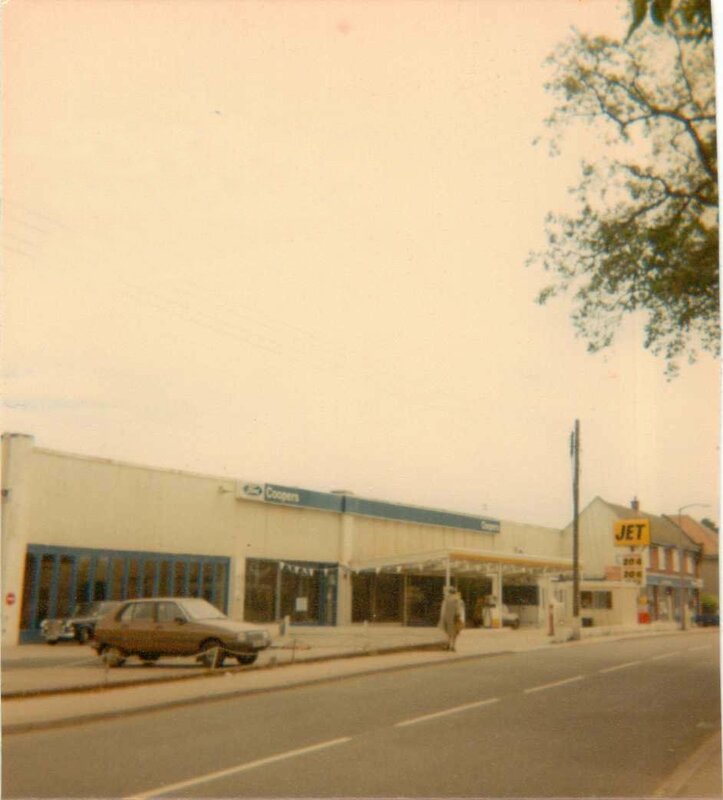 Beside the butchers was Framptons hardware shop and then Mr Greys furniture shop on the corner with Manor Road. These last two premises are now combined and a bedshop successfully trades from there. Fernhill Lane has always been a magnificent northern entrance way to our town especially in summer with the oak trees in leaf. The history of the area is just as impressive.